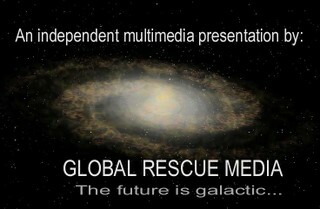 Google Notes: "A multimedia production that provides a greater understanding of the implications of the UFO issue, what it means to our future on Earth, ... all » and how we can benefit. "It features warnings by the spokesperson for the late NASA rocket scientist turned whistleblower, Dr. Wernher von Braun, and President Eisenhower (Five Star General), as well as video footage of Dr. Steven Greer, Hon. Paul Hellyer, and others. "The Art Bell radio interview with the late Col. Philip Corso is the main feature and also includes Col. John Alexander as guest. It was broadcasted July 23, 1997. "Corso was a member of President Eisenhower's National Security Council and former head of the Foreign Technology Desk at the U.S. Army's Research & Development department. He came forward to reveal his personal stewardship of alien artifacts from the Roswell crash. In his book, "The Day After Roswell," he told how he spearheaded the Army's reverse-engineering project using technology from a crashed UFO that led to today's integrated circuit chips, fiber optics, and lasers. "He told Art that he came forward to leave a legacy to younger people and the children who he feels have a right to know the truth. For more information, see: www.coasttocoastam.com/guests/454.html"
September 25 of last year was a very special day… What made that day a very special one, was that there was an event in Toronto, Canada, where a number of people spoke about exopolitics. And one of the people that did speak at that event is our keynote speaker for tonight. His background is one as a senior politician within the Canadian government. He worked in the administration of Lester Pearson, from 1963-67, as the Minister of Defense. The main policy that he was involved with at the time was the unification of the Canadian defense forces. So Canada has one defense force rather than four as in the US. One of the things that he did encounter during that process was a concerted effort by the administration, the American administration at the time – the Johnson administration - to promote [anti-ballistic weapons] …, presumably to shoot down ballistic missiles. So this was one of the things that the Pearson government was opposed to. Paul Hellyer, as Minister For Defense, was solidly behind that policy. Well, in that event in Toronto, last year, Mr. Hellyer came forward, very courageously, to state what he believed was happening based on the research that he had done, as a consequence of the Peter Jennings special that had happened in February of 2005, where Peter Jennings, through that show, “Seeing Is Believing”, laid out the evidence that he believed made the UFO phenomenon something real. This was something that Mr. Hellyer saw as very intriguing. He did some research on Philip Corso, Sr., the author of “The Day After Roswell”, and found that much of what Mr. Corso had discussed was, in fact, occurring. So, I’m not going to go into that because I think he’ll probably discuss that himself. But, let me say that what Mr. Hellyer has done is he has gone beyond the traditional focus on, “Are UFOs real? Are they in the sky? Is there enough evidence?”, and he raises the very significant policy questions that exist here. He’s asking questions such as, “Are the weapons that are being deployed in space now really intended for ballistic missiles from rogue nations, as we are told? Or are they being used to target extraterrestrial vehicles?” He asks these significant policy questions, such as “Are the extraterrestrials the enemy, as one finds evidence for in terms in the thinking of the US military?” He asks these very important policy questions such as, “What is happening with this technology? If extraterrestrial vehicles are visiting the Earth, and if this technology is being recovered and being developed, why don’t we see it? Why isn’t it somehow being released out into the public realm? Who are the people making these key decisions over all of these processes? Why isn’t there transparency? Why isn’t there accountability?” These are very important policy questions. I’m thrilled that someone of the stature of Mr. Paul Hellyer has raised these issues and brought them into the public debate. I think this is something that will educate many, many thousands, and millions, of people over the years ahead, and months ahead even, as to the very important issues that we all have to grapple with; that these are not just academic debates, but there are vital policy issues that surround us and that have been kept out of the public realm for too long. I’m, now I’m honored to welcome Mr. Hellyer who will bring these to the conference. Thank you. Thank you. Thank you very much, Michael. That much too generous introduction reminded me that if my late mother were here, because she was my mother she’d believe every word of it. If my late father were here he would probably, being a realist, want to know who you were talking about. Or, as General Eisenhower would say, “It was like chewing gum. Sweet. OK to taste for a moment or two, but for heaven’s sake, don’t swallow it!” I am delighted to participate in this conference, and would like to thank Dr. Michael Salla and his committee for the invitation. As indicated in the promo, my message is divided into two main themes. First, who is actually running the United States and other major western countries? PH: And second, what are the consequences of the long-time cover-up of extraterrestrial intelligence and advanced technology? It appears that real governanment has passed from elected accountable representatives of the people, to an unelected, unaccountable elite group of senior government officials and industrial leaders, an Industrial Military Complex, whose agenda is incompatible with the needs and desires of the population at-large. At least that is my unshakeable conviction. PH: Evidence indicates that the survival of the planet as a reasonably friendly and hospitable environment is at stake, and that vested interests may be blocking plans to save it before it is too late. Even worse, the Military Industrial Complex, that General Dwight Eisenhower warned us about, is creating and producing weapons systems designed to confront visitors from space and, in the process,] is proceeding to a situation which could be a sure-fire recipe for a possible conflict. One hesitates to contemplate the unknown and potentially disastrous consequences. Only an early and complete disclosure of the truth can save us from our folly. If anyone had suggested a year ago today that today I would be here making a speech in Hawaii, June 2006, on the subject of the extraterrestrial presence on planet Earth, and how the visitors and their technology may impact our future, I would have been absolutely astonished! I would have been flabberghasted! I probably would have laughed out loud. Or I might have said, “Well, you must know something that I don’t know.” And if I had said that, of course I would have been right! Anyone who has spent the time, and made the effort to inform himself or herself on this subject would have been light years ahead of me in knowledge and understanding! I didn’t even know how much I didn’t know because I had no inkling of how much there was to know! When I was Minister Of Defense in the 1960s, I received reports of sightings with the usual explanations. The majority of investigations, as in other places, had revealed that the sightings were natural phenomena. The others were simply designated “Unexplained”. I was far too busy, as Michael indicated, integrating the Canadian armed forces, to ask the kind of question necessary to peak my curiosity. I was interested that Philip Corso, (Jr.) was talking this afternoon about the Air Force hogging the lion’s share of the technology. That is precisely the reason why many years ago I did something that at the time was considered courageous -- which certainly amounted to a war of another kind -- and that was to lop off the heads of the Army, the Navy, and the Air Force, and to create a Canadian Armed Force. Subsequent ministers have undone most of the good that was done at the time, but it did set a model for at least 8 years, I think. Canada had the most efficient armed force in the world. There was not that kind internecine bickering that you find between services and, consequently, not as much waste, duplication and triplication. But in any event, that was what I was doing instead of worrying about UFOs, about which I knew nothing. In later years I was occasionally contacted by someone investigating the subject, and asked what I knew. My sense was that I was not believed when I explained truthfully that I knew nothing apart from the cursory reports that I had scanned. The closest that I have come personally to an alleged encounter occurred at Arundel Lodge, in Muskoka -- this is the Lake District north of Toronto -- where my late wife and I ran a small tourist resort; an old farmhouse and 10 cabins, for 45 years, and where we had a very family-like clientele that came back year after year, ultimately to the second and third and finally fourth generations. We had some interesting habits there. One of them was that some of our guests, on occasion, would meet around the campfire, on a big rock, known as Fern Rock, for a little song and chatter in the evening. Naturally they would take the precaution of bringing a little firewater to lubricate the vocal cords and ward off the chill of the night. One night, as often happened, the Jack Daniels bourbon was the poison-of-choice. A couple of hours later a very bright light appeared in the southern sky, directly across the bay. It could have been an airplane, but it zigged and zagged across the horizon in a very erratic manner, very much like some of the exhibits we’ve been shown in the last day and a half. Some thought it might be an airplane, while others insisted that it was a UFO. The following morning some positions had changed with the consensus being that it must have been the Jack Daniels that had been responsible for the zigging and the zagging. There were two or three holdouts, however, who had had nothing at all to drink. Their conviction that it had in fact been a UFO remained unshakeable, and it was their testimony that persuaded me to include the incident in a little book I wrote entitled, “Arundel Lodge”. Well, my busy business continued after I left government. I’m afraid I reproved Parkinson’s Law many times over. Dr. Parkinson was another distinguished Australian academic. And that Law was that work expands to fill the time available. Too often my desk looks more like a recycling bin than an organized work place. When a friend started sending me information about today’s subjects, three or four years ago, I would acknowledge the material and add it to one of the piles of reading for the proverbial rainy day which, of course, never came. But my friend was gentle and politely persistent, even when the acknowledgement, perhaps, sometimes was never more than a few lines, just a polite, “Thank you”. On one occasion he sent something that caught my eye visually. It was Colonel Philip Corso’s book. I remember thinking that it might be an interesting read. So I put it on the shelf along with dozens of others that kept showing up seemingly out of nowhere. Once or twice I looked for it and couldn’t find it. Paul Hellyer and Philip Corso Jnr., seated at conference. Philip [Corso, Jr., seated in the audience], I have the same problem with your dad’s book that you have with that document that you’re concerned about. A year ago this August, I was looking for another book to read on my week off. It too had disappeared. But there, staring me in the face, was the elusive, “The Day After Roswell”, so I grabbed it and got on my hurried way. Little did I dream what kind of genie reading it would let out of the bottle. I read it with total fascination, and found it compelling. Once or twice I asked myself, “Is there any possibility that this could be fiction – a beautifully contrived fiction, like ‘The Life of Pi’, for example, where readers are sorely tempted to accept fiction as fact?” But I ruled out that possibility. There were far too many real people and real events included for the story to be fiction. While I was sitting at the lake – and this is the same lake where Arundel Lodge is situated and where the incident occurred that I mentioned to you a minute ago -- my nephew Philip came along and asked me what it was I found so fascinating. I gave him a brief summary. He was a skeptic, he informed me. A couple of days later he phoned to say that he had phoned a retired United States Air Force general of his acquaintance, mentioned the name of the book, and had been told, quote, “Every word of it is true, and more”. End quote. Philip could hardly wait to tell me, and to get his hands on a copy of the book. By strange coincidence -- and, I think many of you agree that these things are not always coincidences -- but by strange coincidence I had just received an invitation to speak to an Exopilitics Toronto Symposium on UFO Disclosure And Planetary Direction, being held at the University of Toronto in September . One of the organizers had been a guest on one of those late night shows -- you know those very late night shows where only the brave-at-heart and the insomniacs are listening? And somehow my name came up, and the consensus was that I was dead. Oh, anybody can be wrong sometimes. Well anyway, a friend was listening and he was a member of a Bible class that I had taught many years ago. He decided to inform the station, to let them know that I was very much alive and well, and to give them my coordinates. Well I had just finished reading Corso’s book before I had the opportunity to decline the invitation, which had been my intention. But when I thought about the policy implications, including the possibility of replacing fossil fuels, and the danger of designating the visitors as “enemy aliens”, as General Nathan Twining had done within days of the Roswell crash, I decided that I had a responsibility to express my hopes and fear in public. My decision was complicated by the fact that I was getting married the following week. I promised my bride-to-be -- who is sitting down here tonight -- that the speech would be a singular event, after which I would bow-out and retire into the shadows. Well unfortunately, as they say, “The road to hell is paved with good intentions”. In addition to requests for press interviews, I have been inundated with new material of all kinds -- books, thesis, articles, leaked documents, formerly classified information, classified information obtained under the Freedom Of Information Act, etc.. I probably have enough reading material to last me for the rest of my natural days. So, I hope I stick around for a while and get through as much of it as possible. Consequently, I am fast becoming an expert at sifting the wheat from the chaff. Some of the material is just pure junk. Some of it is quite intriguing fiction -- plausible to an extent but ultimately failing the litmus test of credibility. Some of the prophecy and dire predictions of malicious ET interference in the lives of humans is fear-mongering of the worst possible kind, the sort of falsity that creates fear in the minds of the populace. This is exactly what the Military Industrial Complex hopes for in order to rally public support for their plans. On the other hand, much of the material is pure gold, including a number of very excellent books. One I recommend is “Alien Agenda”, by Jim Marrs. It covers a lot of territory -- the titillating thesis that the moon may have been placed in orbit by intelligent Beings; UFO crashes; abductions; eye-to-eye encounters; cattle mutilations; crop circles; remote viewing, and much more. And it presents a very balanced view in each case. Marrs gives the proponents and the debunkers almost equal time. It doesn’t require too much discernment, however, to decide who is telling the truth and who isn’t. A very recent book, “Majic Eyes Only”, by Ryan S. Wood, is equally compelling. Wood documents 74 UFO crashes from 1897 -- would you believe, from 1897 -- to the present. While the evidence is much stronger in some of the cases than in others, there is more than enough to convince an unbiased reader that, as the dust jacket states, first, UFOs have crashed on Earth; second, governments have recovered and exploited these alien technology gifts; and third, most disturbing to a democratic free society, the alien secret is more important than Constitutional or individual rights. And this is something that interests me and disturbs me greatly. To understand this damning indictment, it is important to know the framework of our so-called “democratic systems”. So I would like to talk about the permanent and the provisional governments. Then he puts his thesis in historical context. “Just as the Catholic Church was the predominant institution in medieval Europe, and the Roman Legion the most efficient manifestation of organized force in the first and second centuries BC, so also the Transnational Corporation arranges the affairs of the late twentieth and, I might add, early twenty-first century. The American congress and the American president serve at the pleasure of their commercial overlords, all of whom hold firmly to the belief that all government regulation is wicked -- that is, the work of the devil; and that any impulse that runs counter to this manly interest of business is, by definition, soft, effeminate, and liberal.” In other words, the interests of ordinary citizens takes second place to those of the industrial and military elite. Often, when I’m speaking on other subjects and I use Lapham’s thesis, I paraphrase it a little bit. You see, Lapham says there are two governments -- the permanent and provisional -- the first consists of the Fortune 500; the big law firms in Washington that do their legal work; the big public relations firms that do their public relations or, in some cases, propaganda, if you prefer; and the top civil servants, both civil and military. Then I paraphrase, “Every few years we have a charade called an ‘election’”. The permanent government picks the actors to go on stage and read their scripts. They try to pick actors that won’t improvise too much -- I don’t want to mention any names in particular. Then, through the Trilateral Commission, of which many of them are represented, they raise the money to get their candidates elected, and no one else need apply. That’s the way the system works. As I’m sure you know, I think the Trilateral Commission has picked every president but one in the last 30 or 40 years, something like that. It is a very small but extremely powerful slice of that permanent oligarchy which has become the custodian of the alien secret. It is a policy that began immediately following the 1947 crash at Roswell -- or the two crashes, which appears to have been the case as reported by Ryan Wood. It is my belief that it was the danger implicit in having the secret in the wrong hands that prompted General Eisenhower to warn us over half a century ago to beware of the Military Industrial Complex. Not only has the alien secret been closely guarded, it has been ruthlessly enforced. In “Majic Eyes Only”, Ryan Wood describes a document, apparently authentic, labeled, “SOM1-01”, an “Extraterrestrial Entities And Technology Recovery And Disposal” manual, dated April 1954. As Wood points out, the manual provides strict instructions concerning the quote, “need for absolute secrecy in all phases of operation”, end of quote, and then adds, “including a press blackout”. I quote, “Great care must be taken to preserve the security of any location where extraterrestrial technology might be retrievable for scientific study. Extreme measures must be taken to protect and preserve any material or craft from discovery, examination, or removal by civilian agencies or individuals of the general public. It should be remembered when selecting a cover story that official policy regarding UFOBs [Ed. early official term for UFOs] is that ‘they do not exist’. The most desirable response would be that nothing unusual has occurred. Witnesses will be discouraged from talking about what they have seen, and intimidation may be necessary to insure their cooperation. If witnesses have already contacted the press, it will be necessary to discredit their stories. This can best be done by the assertion that they have misinterpreted natural events, or are the victims of hysteria or hallucinations, or are the perpetrators of hoaxes.” End of quote. Well, doesn’t that sound all too familiar? It is the story of the last half century -- official duplicity aided and abetted by a tame and compliant press. It is a policy that has made liars of some of America’s most respected citizens, and kept the majority in near total ignorance of the facts. It is doubtful that a single member of congress is in-the-loop concerning the alien secret, and if that is not correct then let him or her stand up and state the truth. Meanwhile, the congress is voting funds for projects it is unaware of. This has to be an abdication of its role as protector of the public purse. Those of us who believe in the concept of a government ‘of, by, and for the people’, may be forgiven for suggesting that before the US assumes the mantle of democratic initiator for the world, it would be expedient to enforce its own Constitution and the rights of guarantees for its own citizens. Having said that, I must admit that I know from experience just how difficult it is for elected politicians to take the bureaucrats on for size. Canada, too, has its own version of the ‘permanent government’. When I was Canadian Minister Of National Defense in the 1960s, I was privy to US satellite reconnaissance photographs. Unfortunately, however, my Associate Minister, who in law at least, also held cabinet rank, did not have clearance. So we could not review the pictures in the Defense Council in his presence -- the Defense Council was sort of a cabinet of the defense department that I had established for policy and all major decisions, as a matter of fact. Well, it was awkward not to be able to have him there when we were talking. So I asked that he be cleared. Canada was allowed 40 names on the list, but only three of them were politicians -- the Prime Minister, the Minister of External Affairs, and myself. Well, it took an unholy row to pry one of those spots loose for my associate. It finally happened so we could sit together at the table with our military staff. Another case was perhaps more relevant to our subject today. After the Pearson government was formed in 1963, and Canada finally decided to obtain the nuclear warheads for the weapons systems purchased by the previous Diefenbaker government, I was curious about the yield of the weapons. But no one would tell me what it was -- I was just the Minister. Finally, after a man-to-man showdown with my Chief of the Defense Staff, which is comparable to the Chairman of the Chiefs of Staff Committee, previously, he told me. Then I understood at once why he had been reluctant to tell me. If I had blabbed the information to the press there would have been a public outcry due to the history of the debate. Now, however, 40 years later, the information would be of so little public interest that it wouldn’t cause a ripple. I think this is the significance of the subject we’ve been discussing -- time has changed the public interest. In reflecting on the situation that existed in the early post-WWII years, I can understand why it would have been considered wise to observe secrecy. People were weary of war and might have been unduly upset by news that Beings with more advanced intelligence and technology than our own were visiting the planet. Orson Wells’ radio drama, based on H. G. Wells’ “War Of The Worlds”, depicting New Jersey being invaded by men from Mars, had caused a near panic. So it was cited as an example of the kind of paranoia that can be created. I can also understand why the military, at the outset of the cold war, would be deeply concerned that the Soviets might win the battle of reverse engineering, and use the alien technology to obtain military superiority. That was a legitimate concern at the time. With the disintegration of the Soviet Union, however, that rationale has disappeared. Today the US has no military enemies capable of challenging its overwhelming firepower. Not one. So, perhaps there is a more sinister reason for the priority given to military expenditures in the face of other urgent priorities. The reason, in a nutshell, is to satisfy the short-term self-serving interests of a military industrial system which depends, to a significant degree, on bigger and bigger defense budgets. To get away with this in a democracy demands an ever-present enemy of major proportions. This necessity was forecast many years by Dr. Werner Von Braun, the famed German rocket scientist brought to the United States after WWII to prevent his expertise from falling into Soviet hands. He said, in the presence of a friend of mine, I quote: “First it will be the communists, then it will be the terrorists, and then it will be extraterrestrials.” How’s that for a prescience, or inside information, or both? on for size with the technology they have given us. I’ve received private assurance that the US military wouldn’t be stupid enough to do that. But how can we have faith when all the plans are secret, and we haven’t been told the truth for decades. And due to the extreme secrecy, there is neither realistic civilian oversight nor extensive public debate on which it could be based. Colonel Corso’s book makes it very clear that the original ‘Star Wars’, as it was known, was directly related to the alien threat. Can anyone here remember public mention of that fact by either the government or the military? Now the follow-on program of ‘anti-missile-missile defense’, as it is being called, is being integrated with the installation of weapons of mass destruction in space. Can anyone imagine why this might really be essential to US security? Once a great power gets on this kind of treadmill, it is extremely difficult to get off. The next step is to establish a military base on the moon. Anyone familiar with Colonel Corso’s book will recall that this was a pet-project with his boss, Lieutenant General Arthur Trudeau, who conceived the idea, and had the initial plans for a period in the 1960s, under the title “Project Moonbase”. After decades of being turned-on by the White House, President Bush has confirmed that the military mind has finally prevailed. One wonders if the aliens are still using the moon as a forward base, as is widely reported, and if so, what kind of welcome the earthlings might expect to receive when they arrive. Putting weapons of mass destruction in space, and building a permanent military base on the moon, are profoundly questionable uses of scarce resources at a time when large current account and international deficits threaten the stability of the United States dollar. Full disclosure would be a precursor to a better way. There is a better way, which would have to begin with the reestablishment of genuine democracy in the United States and those other western countries complicit in the cover-up -- an absolutely full disclosure of what is known about extraterrestrial civilizations and their technologies. Then we would be in a position to gauge how soon it might be possible to save our planet, literally, from climate change that could prove to be disastrous to multitudes of earthlings. The US government has been slow to recognize the danger concerning climate change -- and I may say that I regret to report that the new Canadian government now is being as equally slow or slower. Just the other day, in the paper, I noticed an article on the subject where a draft report, authorized by the Intergovernmental Panel On Climate Change, has predicted that the climate of the Earth could increase by up to 3 degrees by 2100. They say anything more than 2 degrees could result in disastrous climate changes, including an unacceptable increase in the levels of the oceans. Some of the brain-children are out there trying to figure out what to do if that happens. I don’t know if you’ve seen some of the suggestions or not, but one is putting in the atmosphere hundreds of square kilometers of aluminum foil particles to deflect the sun’s rays. And others are to create artificial volcanic eruptions to filter out some of the heat. Some of these proposals cost hundreds of billions of dollars. Yet, we don’t seem to be talking about the logical thing to do and that is to get out of the business of reducing our total dependence on fossil fuels. And what is needed, of course, is an inexpensive replacement for fossil fuels. And you can bet your bottom dollar that someone in the United States, and maybe several projects independently, have been working on the challenge for 50 years or more since the crash. The race has been on for almost 50 years. But how far has the research advanced? Is a solution imminent? And who would not want the public to not know the answers to those questions? The oil lobby, of course. There are trillions of dollars of investment involved. The financial stakes couldn’t be higher, but they still pale in comparison to saving the planet for the benefit of future generations. There is no doubt that the adjustment in moving away from oil dependency would be unprecedented. But it doesn’t have to be accomplished overnight, which has been the big problem of globalization and the move toward a single world economy. By international agreement it could be done over 10, 20, or even 30 years, and that would be fast enough to save the planet from disaster. What will not save it is the status quo. Curbing the appetite of the Military Industrial Complex should proceed in parallel, though at a much faster pace. Those arms makers capable of adjusting would lead the parade in the new technologies. When one door closes, another window of opportunity opens. The money saved from lower military expenditures could be used to eliminate the deficit, and then to help the poorer countries of the world develop their own resources and industries for their own benefit, and reverse the trend toward an even greater disparity of income, both between individuals within countries and between rich countries and poor countries. So, to return to the point where I began. Who is actually running the United States of America and other major western countries? What are the consequences of long-term cover-up of extraterrestrial intelligence and advanced technology? Isn’t it long-since time that truth trumped official secrecy? And, what are we going to do about it? The Honorable Paul Hellyer was the Canadian Minister of National Defence (1963-1967) in the Cabinet of Lester Pearson; and Transport Minister and Senior Minister in the Cabinet of Pierre Trudeau (1968-1969). As Minister of Defence he oversaw the integration and unification of the Royal Canadian Navy, Canadian Army and the Royal Canadian Air Force into a single organization, the Canadian Forces. While Minister for Defense, he was guest of honor at the opening of the world's first UFO landing pad at Alberta, Canada in 1967. While the occasional UFO sighting report crossed his desk, he claims to never have had time for what he considered to be a "flight of fancy." His position dramatically changed after reading Lt Col. Philip Corso's The Day After Roswell. He contacted a retired United States Air Force General to confirm Corso's claims. Finally convinced that the UFO phenomenon was real he decided to come forward and speak at the September 2005 Exopolitics Toronto about some of the "most profoundly important policy questions that must be addressed." Among these he includes the possible targeting of extraterrestrial visitors with space weapons, and greater transparency in the policy making process concerning UFOs.